I thought that I would write a short biography about Walter Prideaux who descended through the line of John and Sybell of Luson and the heir Hugh. It is because of an 1835 Mahogany Longcase Clock I own. I descend from Hugh’s brother John. Walter’s line moved through the South Hams to Kingsbridge and eventually London and Sussex. Walter Prideaux was born 15 April 1806, at Bearscombe near Kingsbridge, the eldest of 11 children. His parents were Walter and Sarah Ball Hingston and his grandparents were the Quaker Kingsbridge solicitor George Prideaux and his wife Anna Debell Cookworthy, daughter of Philip Cookworthy. George and Anna had 10 children, Walter was the 4th child. George Prideaux and his wife Anna lived in a large property at Bearscombe. Walter, (his father) married Sarah Ball Hingston in 1805. Sarah was the daughter of Joseph Hingston, a partner in The Devon and Cornwall Bank, along with Walter’s cousins, Walter Were Prideaux and his son, Walter Prideaux and John Square. A Bank was established at Kingsbridge in the month of February 1806, by Messrs. Walter Prideaux, John Square, Joseph Hingston, and Walter Prideaux junior. It was first opened in a house on the West side of Fore street nearly opposite the late Buttermarket, and on the North side of Millman’s Lane which communicates with the West backlet. An excellent stone mansion however, with an appropriate room for this concern, having been erected by the junior partner on the East side of Fore Street Hill, facing the houses a little above the Quakers’ meeting, the business was removed thither in 1808; and, the second partner being dead, but replaced by his son of the same Christian name, and the third removed to Plymouth, where he carries on a similar establishment, the notes of the present firm bear the designation of “Prideaux, Square, and Prideaux,” whose Loudon correspondents are messieurs Masterman, Peters, Mildred, & Co. No, 2. White-Hart Court, Gracechurch Street”. Therefore, there were two separate banks in existence, at Kingsbridge (Prideaux, Square, and Prideaux) and at Plymouth (Hingston & Prideaux). On 31 October 1813 the banking partnership known as Prideaux, Square, Hingston and Prideaux of Kingsbridge in Devon was dissolved by mutual consent to allow for the retirement of Joseph Hingston. Joseph went to Plymouth to open another bank and the original partnership was renamed Prideaux, Square and Prideaux. Joseph Hingston formed a partnership in the Plymouth bank with his son in law, Walter Hingston Prideaux, both men staunch Quakers associated with the Plymouth Brethren. 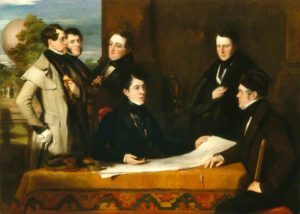 Walter and Sarah had moved from Kingsbridge to Plymouth in 1812, following the sale of Bearscombe. The bank was known as the Hingston & Prideaux Bank. Walter Hingston Prideaux, the eldest son of Walter and Sarah was born on the 15th April 1806 and was the first of 12 children. Walter became a lawyer as did several of his brothers, others became eminent surgeons and the girls all married well, except for Lucy who remained at home. Walter’s younger brother Joseph Hingston drowned at Plymouth on the 24th June 1840. One sister, Sarah Anna married her cousin Samuel Prideaux Tregelles, a well-known scholar and writer It was he who wrote the foreword to the book Poems. His brother Frederick wrote Prideauxs Precedents which is still in use today. Walter Hingston’s father died on 24th June 1832 and his mother on 20th December 1866. Walter Hingston moved to London to continue his studies and eventually become Solicitor and Clerk to the Goldsmiths Company (a role his second son Walter Sherburne also held) and he and his family lived at Warhurst in Sussex. Following are some of the many links which reference Walter Sr and Walter Jr in their dealings with the Goldsmith companies. Walter was a partner in a firm of solicitors with his brother and his son and the firm is still in existence as Kennedy, Ponsonby and Prideaux, initially of 52 Bishopsgate and latterly at 5 Lincolns Fields. Walter Prideaux was very much involved in the notorious balloon journey undertaken by Charles Green, Thomas Monck Mason and Robert Hollond. Charles Green was an accomplished balloonist and he famously experimented using coal gas instead of hydrogen. These three travelled a record distance of 500 miles in 18 hours. Walter Prideaux was included in a painting by the artist, John Hollins called, ‘A Consultation prior to the Aerial Voyage to Weilburgh, 1836 ‘which recorded the event. This painting is available in the National Portrait Gallery. Walter led an adventurous life and I decided to learn about him after I came into possession of a Mahogany Longcase clock which had been made for him to celebrate the year 1835. It seems to have been commissioned by him or for him to celebrate and acknowledge his rise in the world. Unmarried, Walter displayed the clock either in his London office or his rooms. He was a sort after lawyer, a Solicitor and Clerk to the Goldsmiths Company and working closely with Charles Green et al on their balloon project. 1835 marked the grand total of 200 balloon ascents for the men to date. The 37-year-old Walter married 19-year-old Elizabeth Williams of Catsfield Sussex on the 14th September 1843 and they had five children. Elizabeth was the daughter of General Sherburne H Williams of Sussex. His boys were educated at Eton and became successful bankers and lawyers. Two of the girls remained single and the third married a Captain, moved to India where she promptly died. One boy remained unmarried and the last boy Walter Sherburne Prideaux married Catherine Povah and they had five children including Sherburne Povah Tregelles Prideaux who became a scholar and religious writer and analyst. My clock came from this Sherburne branch of his family, his descendants selling it at one point. It still works very well. Walter Hingston Prideaux died in 1889 following a heart attack.